Eyebrowed Rollulus | Edward Lear: Two Hundred Years of Nonsense! Eyebrowed Rollulus. (Rollulus supercilious.) 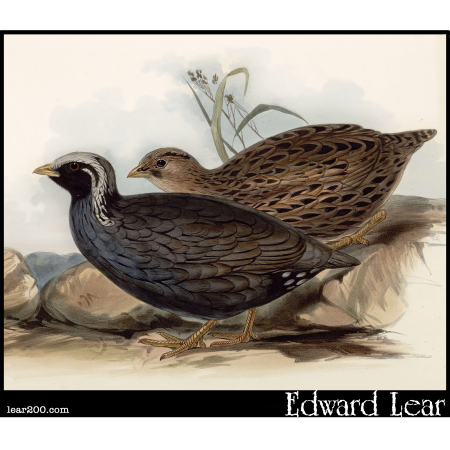 The Himalayan Quail--now believed to be extinct.